In celebration of our recently published guide to the Best Cooling Mattresses on the market, we’re offering our lovely readers the chance to win some pretty incredible mattresses. We’ve currently got a giveaway from Purple going and are adding one from Ghostbed to the mix! The Ghostbed Luxe is a luxurious all-foam bed outfitted with a special cooling cover. As you sink into the thick layers of memory foam for pressure relief, you’ll find that the mattress actively works to absorb and dissipate your body heat. I think the Zenhaven would be the best for me with the Purple a close second. But honestly, any new mattress would be better than the one I’m using now. Zenhaven sounds best but many of them sound Great! This mattress seriously seems like heaven and I would feel privileged to sleep on one nightly! I tend to heat up while I sleep, so this would be a great mattress for me! For me my favorite is actually a toss-up between the Zenhaven and the Ghost Bed Luxe. I would love to have either one of them! We are in the market and this mattress looks like a great one! The ghost mattress … thank you for the chance. I’m entering all your amazing mattress giveaways. Because my oldest daughter needs a new mattress. And yours are the best. Both hubby and I are side sleepers. The Layla would be our choice. So this fits for two reasons, even in winter I am constantly throwing off my blankets and putting my feet outside the bedding! And since I lost my beloved bed in a devastating fire earlier this year that I am still emotionally and financially trying to recover from, this would be one less worry! One of the best cooling mattresses.Nice looking. This one sounds perfect for me! This looks amazing and so comfortable. Definitely the Zenhaven! I’ve been a side sleeper ever since having children and can’t sleep any other way! The Purple Mattress is amazing!!! Zenhaven because I would like to sleep cool and it is made entirely with all-natural materials! But Purple sounds great too! I would love to win this Ghostbed. I have heard so many great things about it. Before being diagnosed with cancer I tried 3 different mattresses and they were all horrible. I would give anything to get this Ghostbed and actually get a good night’s sleep and maybe help my body heal. Good luck to everyone entering and Happy Holidays! I would love to try the Ghostbed!!! This looks like an awesome mattress! I think the Zenhaven would be the best choice for me. I am a side sleeper and from the review it seems like a perfect fit. I think the Purple mattress review is my favorite! Loom and leaf is my favorite. OMG I love this site, the visual of how plush the mattress is by watching his hand sink into it is so satisfying. This mattress looks phenomenal. The Ghost Bed! Love the cooling system. Fingers crossed. Thanks for the fabulous opportunity and chance to win. the ghostbed! it sounds fantastic! fingers crossed. The Zenhaven is my favorite but love them ALL!! I need something to keep me cool while I sleep. So many to choose from that I like! Today the Winkbed caught my eye though! I’m torn between the GhostBed and the Zenhaven. Both sound really comfy, and either would be perfect for me & hubby. Hubby and I have been sleeping on couches for past 3 months because our old mattress gave out. Would LOVE to win one of the awesome mattresses!! Thank you! I like the Purple Mattress pretty well. Looks comfortable. this ghost doesn’t even need a sheet!!! I like Avocado green mattress. Amazing giveaway!! Thanks for the opportunity! The Ghostbed Luxe looks great. Ghostbed what a restfully wicked name for a mattress sounds like a good Rest In Peace kinda of sleep got to have one. My favorite would be the Ghostbed Luxe! I am a hot sleeper and this mattress would help keep me cool while I sleep! Thank you for the chance! This Ghostbed Luxe sounds amazing! I am always so hot and it would solve that problem for me. Ghostbed Luxe Giveaway. I always sleep hot. Sleeping on this mattress is probably like heaven!! Thank you for this opportunity! Ghostbed is awesome! I love that it is a cooling mattress. Good luck to all! This mattress sounds like it would be perfect for me! I’d choose the GhostbedLuxe . I’m a hot sleeper and I need a cooling mattress..maybe someday I can sleep thru the night without waking up sweating! I do believe this Ghostbed Luxe Mattress is the best for me. It is cooling and that is what I am searching for in a mattress. This would be a wonderful replacement for my 21 year old mattress! This mattress so comfortable and luxurious. This would be amazing to receive especially since I don’t have a mattress. Good luck everyone. Looks intriguing. I’m all for luxury! All of them. They are all my favorite because they’re all better than the bed I have. Don`t mean to be selfish but i want it. The Zenhaven mattress looks good in the latex category. I think Wink Beds is my favorite! I absolutely love the Ghost bed. Cooling mattress? I’m in definitely! I’m a very hot sleeper and in need of a great mattress… thanks for the winning opportunity! The description of this mattress gives my body hope. We bought a soso mattress because it was cheep about three years ago. My husband sleeps on , in my opinion an even worse soffa because a sizeable dent is now in his side of the matress. My boys have taken up much of our small bed in his absence. I don’t want to wake him by trying to put them back in there room when they crawl into our bed in the middle of the night, so I sleep on the edge. I’d cry if I win, real tears, and I bet it would feel like sleeping in heaven. I do believe this Ghostbed Luxe Mattress is the best for me and hubby. It is cooling and that is what we are searching for in a mattress. This seems like the perfect mattress for me–sleeps cool and conforms to the body. Thank you for the chance to win! I would so love to win this. It has been at least 12 years since I slept on a GOOD mattress. This looks so comfortable. I love your reviews on any mattress, especially the ghostbed! So much attention to detail and helps on my buying decision. Hope to sleep in a ghostbed real soon! I really like the Spindle mattress the best. Latex for Less mattress is my favorite I like that it is a flippable mattress. Time for a new mattress! All your reviews are great. At this time, I’m attracted to the Purple – sounds great – and actually the Ghostbed sounds pretty good too! I still like the Layla the best. 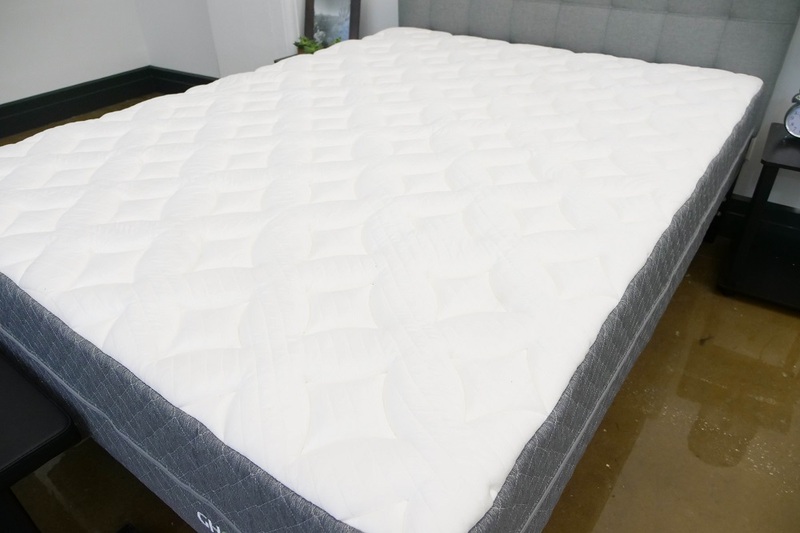 This one Ghostbed Luxe because cooling perfect for S. Florida…hot, hot, hot. Avocado for us eco friendly peeps. It is a toss up between Zenhaven and the Ghost mattress!! The Nest latex mattress is my favorite! would love to win the best cooling bed ever! Thank you for the opportunity! I can’t choose! They all look so good! I love the Layla because I’m a 100% side sleeper. This Ghost Bed Luxe looks awesome because it’s for hot sleeper, which I am. I think this luxe cooling one might be the one for us. Due to my fibromyalgia and other issues I go from hot to cold. Getting too hot in bed doesn’t feel good for me. Hubby is 230lb and gets hot in bed also. So something that keeps us cool would help. Our current mattress is a foam mattress but lost it’s renounce really fast. I wake up every hour to 2 hours in so much pain. In the morning I’m so locked up I’m in tears getting up. Love it when companies “give a little back with sweepstake give-a-ways”!!! Thanks! Ghost Bed Luxe is the best! My favorite is the GhostBed. I think this is one of my favorites out of all the beds you have done. Would Love this and actually they all review good, you really make it hard to decide..
Would so love this in a twin size for my hot-natured son! I would love to have one of these beds!! The Idle and the Avocado sound wonderful, but all of them have reasons that make them a good fit for me. Just so hard to decide without being able to actually feel them for oneself. I’m a side sleeper so the Layla sounds life a great fit, but I also have horrible hot flashes at night due to medical menopause so the Purple mattress sounds great too. As a hot side sleeper that loves the sinking in feeling, I’ve been considering the change from an innerspring mattress to memory foam. You’re definitely highlighting my favorite ones this week, would LOVE to try the Ghostbed Luxe! I would love to try this bed! I love this bed but so hard to win one. You see it’s hard to buy one of these bed on a fixed income when you’re retired. Sounds great! We always sleep hot, but husband loves the feel of memory foam for the pressure relief it offers. Currently on some latex toppers that just don’t give enough pressure relief for my husband. Fingers crossed and thanks for the opportunity!! I think either this INSANE GhostBed Lux has got to be MY FAVORITE bed you have reviewed so far!! I have wanted a cooling mattress for so so long!! This looks like the best place ever to be cuddled up in!! Layla would have to be the mattress for me…I am a side sleeper and usually have a hard time falling asleep. Want to say this. I aways wanted to get me a good mattress like this. But with my fixed income there is no way I could ever buy one. My Friend purchased one of the sleepopolis mattress . She went on vacation and ask me to house sit for her while she went to England. She was gone two weeks. I slept in her bed she purchased and I can say it was the best two weeks of sleep I ever had in 7 months. I had a house fire a year ago and lost everything I had. Starting over hasn’t been easy. God bless. Of the latex mattresses you discussed in your review, I found the Zenhaven and the Spindle the most appealing. I love how much I’ve learned about different mattresses. I really desperately need a new mattress! The Idle latex mattress is my favorite. This sounds so nice! My husband and I could use a new mattress! I really need this bed my old one is killing me I feel like I got ran over everytime I wake up. Uggghhhhh! I have heard good things about Ghost Beds! We could definitely use a new mattress, but it just hasn’t been in the budget. Thanks for the chance! Maybe I’ll win one of these days! Thank you for the chance. Well it was the purple mattress that sounded great, but now that I’m reading up on the ghostbed I think I changed my mind! Sounds great too. You guys make it so hard to choose!